« Older: Palapa Bar and Grill is coming to San Pedro Town! 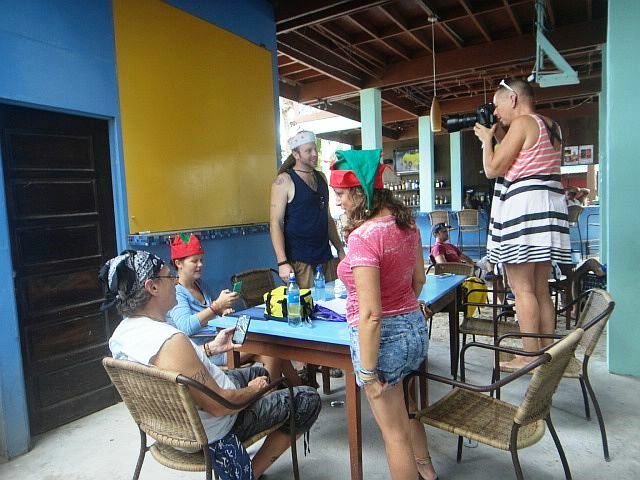 The San Pedro Belize Red Cross (SPBRC) are feeling the jolly holidays, even going as far as creating their own remix to the popular Christmas carol, 12 Days of Christmas. Written by photographer Karen Brodie and sung by members of the SPBRC and friends, the 12 Day’s of Christmas Red Cross Remix reminisces on the work done by the non-profit. Lending their melodious voices for the jingle were Brittney O’Daniel, Shirlee Arnould, Jane West, Melody Wolfe and Sean Connors. After a few rehearsal sessions, the group was even able to professionally record the remix with the help of Ralf West from Reef TV/Radio. SPBRC officially debuted the song during the 2015 Holiday Lighted Boat Parade. The lyrics to the song go as follows: “On the first day of Christmas, my true love sent to me, a building with a palm tree. On the second day of Christmas, my true love sent to me, two centrifuges and a building with a palm tree. On the third day of Christmas, my true love sent to me, three pairs of crutches, two centrifuges and a building with a palm tree. On the fourth day of Christmas, my true love sent to me, 4 pints of blood, three pairs of crutches, two centrifuges and a building with a palm tree. On the fifth day of Christmas, my true love sent to me five golden slings, 4 pints of blood, three pairs of crutches, two centrifuges and a building with a palm tree. On the sixth day of Christmas, my true love called to say six donors needed, five golden slings, 4 pints of blood, three pairs of crutches, two centrifuges and a building with a palm tree. On the seventh day of Christmas, my true love sent to me seven donors giving, six donors needed, five golden slings, 4 pints of blood, three pairs of crutches, two centrifuges and a building with a palm tree. On the eighth day of Christmas, my true love sent to me eight kids a bleeding, seven donors giving, six donors needed, five golden slings, 4 pints of blood, three pairs of crutches, two centrifuges and a building with a palm tree. On the ninth day of Christmas my true love sent to me nine splints a glowing, eight kids bleeding, seven donors giving, six donors needed, five golden slings, 4 pints of blood, three pairs of crutches, two centrifuges and a building with a palm tree. On the tenth day of Christmas my true love sent to me ten seniors fainting, nine splints a glowing, eight kids bleeding, seven donors giving, six donors needed, five golden slings, 4 pints of blood, three pairs of crutches, two centrifuges and a building with a palm tree. On the eleventh day of Christmas my true love sent to me eleven wheelchairs racing, ten seniors fainting, nine splints a glowing, eight kids bleeding, seven donors giving, six donors needed, five golden slings, 4 pints of blood, three pairs of crutches, two centrifuges and a building with a palm tree. 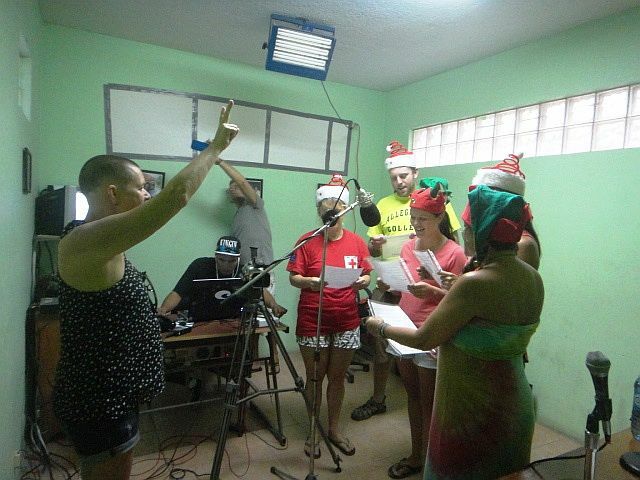 For those wanting to listen to the finished audio, visit https://soundcloud.com/karen-brodie/12-days-of-san-pedro-red-cross-christmas.